Democrats have spent a lot of time hammering the Roberts Court for its 5-4 decision to allow unlimited spending by corporations and unions on political advertising. "Wasn't it unusual how they got to the point where they can make that decision, based on the facts?" Sen. Russell Feingold pressed Kagan. "It was unusual wasn't it?" Kagan, of course, defended the McCain-Feingold campaign finance reform law in the Court, in the case Citizens United v FEC. Then the President teed up the issue in his January State of the Union address, when he took a shot at the Court, as he put it, overturning nearly 100 years of precedent and for allowing corporations to drown out the voices of everyday Americans. He warned it would also inject foreign corporate money into elections. And that prompted that dramatic moment, when the cameras caught Justice Alito shaking his head and mouthing the words, "that's not true." But Alito had a point that is still being missed - intentionally or not - by Democrats. The key issue in Citizens United was whether corporations and unions could directly fund television ads in the weeks leading up to an election, urging the public to vote for or against a political candidate. The Court held that corporations could fund those messages directly, instead of just contributing to a political action committee. The "100 years of precedent" that President Obama referred to in the State of the Union, refers to the 1907 Tillman Act which banned corporate funding of election campaigns themselves, rather than independent messages about elections. Direct funding to campaigns was not an issue in Citizens United. Democrats may be furious the Court overturned part of the McCain-Feingold campaign finance law, but they aren't being fair when they say the decision gutted a century precedent and is an example of the Roberts Court cozying up to corporations. The case also applied to unions, and as best I can tell, unions seem to contribute more to Democrats. Why is Al Franken on Judiciary? 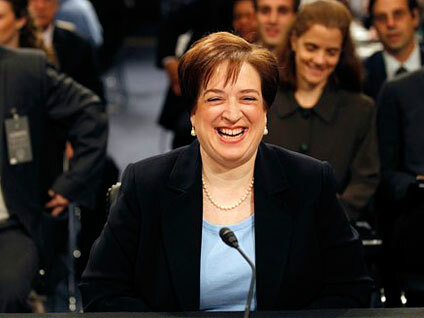 Washington Unplugged: How Did Kagan Do? Jan Crawford is CBS News Chief Political and Legal Correspondent. She is from "Crossroads," Alabama.